Have you ever walked into a place and felt totally at peace and very welcome? On the flip side, have you ever walked into a place and felt uncomfortable, like you weren’t quite welcome? Not a good feeling. I remember one time we were told to stop by my husband’s boss’s (at that time) house to pick something up. When we arrived, I asked my husband if Little Bit and I should wait in the truck, or go in with him since we’d never been there before. We decided it’d be kind of rude to stay in the truck, so we all three rang the bell. The boss’s wife evidently did not want company, was very unwelcoming, and made it quite obvious by her looks sent our direction that she did not want us in her home. Isn’t it funny how sometimes the lessons we learn about kindness are taught by people who aren’t kind? Well, fortunately for me, times like that are few and far between. Most places I’ve stepped into have been quite the opposite. My grandparents and my parents showed me all about how to make every single person feel included and welcome. Each time we visited mom’s parents, they met us at their door, full of smiles and arms outstretched. Grandma would be giggling, while grandpa stood behind her, smiling. When we walked into dad’s folks house, they were usually knee deep in all dad’s brothers and grandkids, and would still make their way over to warmly greet us. I think part of the reason I still get so homesick, is I know that on the other end of our 5 hour drive, my parents will come to the door when they see our lights pull in the drive. There’s just something about knowing somebody’s face will light up as soon as they see you. You know? On a different note, Little Bit and I have stumbled upon a place here in town where when we walk in, we get that “you are welcome here” feeling. It’s that shop I wrote about in my story, Kindness Noticed. Recently, I told the gal that owns it that I want to write a story about her and how this sunshine seems to pour out of her every time we walk into her shop. And, it does. She reminds me of that feeling I had of pulling up to my grandparents house when I was a kid. Who would have ever thought that feeling could be replicated? What a gift. Not only for me, but for Little Bit to feel so welcome at place that’s not home or his grandpa and grandma’s! This gal is so kind to my Little Bit. She lets him help her do things and all the while she has this glow about her. Man even the thought of it, makes my “happy tear” faucets trickle. This week I got the news that she was selling her shop. While I am thrilled that she ‘ll get to spend her time with her family, a piece of me is sad because she won’t be behind the counter anymore when we walk in. Then, it occurred to me, maybe it’s not where the person is standing that makes us feel welcome. Perhaps it is simply the person. Hmmm. I’m going to bet that my grandparents are smiling down on me right this second and that when my parents read this, a smile will spread across their faces, too. 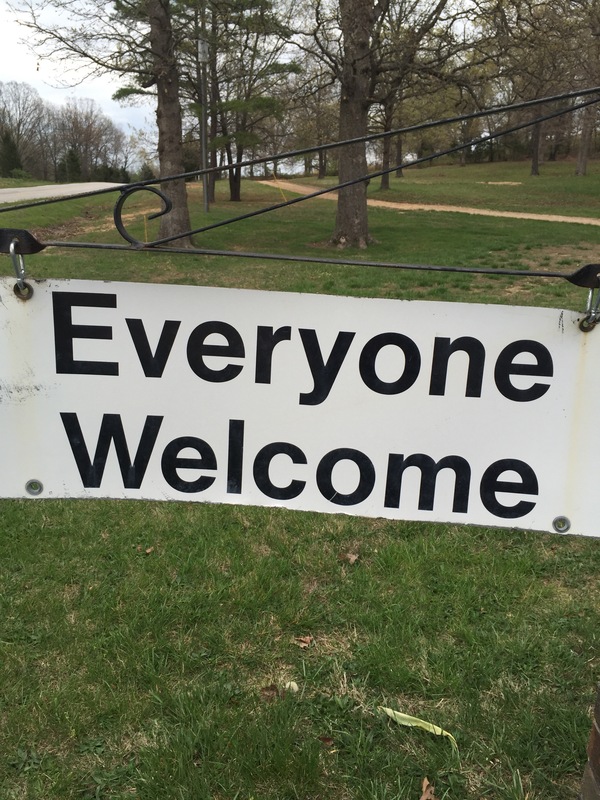 Here’s to feeling welcome…wherever we are. Such a beautiful post…I bet your home is as warm and welcoming as your grandparents. We are the same, always at the door, saying hi to guests, hovering over them. However, yes, I have experienced exactly the opposite – often after many hours travelling only to arrive and the mother coming to the door whilst the rest of the family waves a distracted hello from the couch eyes glued on the TV. I could have cried – I think I did! That would be lovely have you has a visitor! !😀😃 I’m told I clean the house to ‘within an inch of its life’ when guests are coming – so that may be the rays! Oh man, you do that too? Kindred souls, you and I! Love that we were raised in similar circumstances. Let’s do pass it on… You’re so great. I just love that we connected.